We wild camped in the Wicklow Mountains last night and were amazed by the view of the stars. 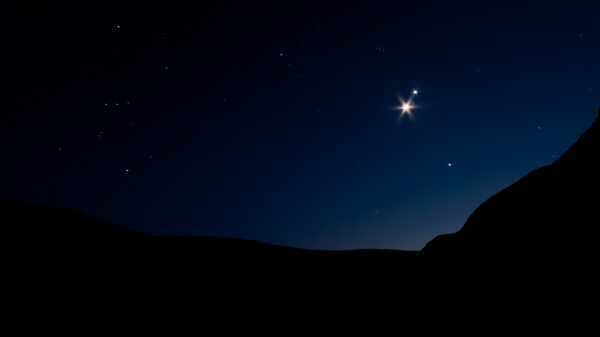 This picture shows the conjunction of the Moon, Venus and Jupiter as seen from our camp. The consellation of Orion can be seen on the left of the frame.